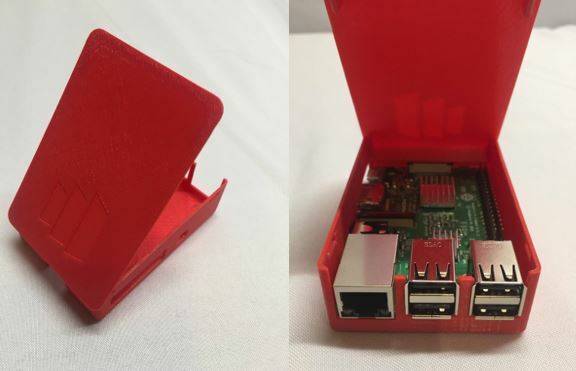 My case model was built with prototyping in mind so there are multiple ways to export a model for printing. The first method is by clicking “Export” and selecting .STL as the file type. 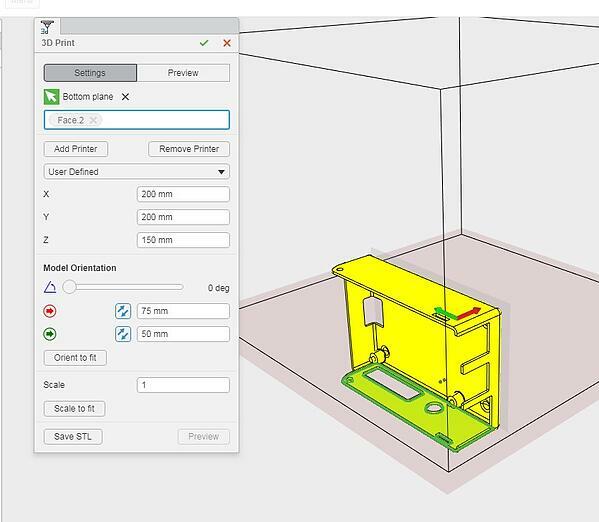 By choosing this option, I could send my design file directly to an engineer for printing, and it would be up to him to edit the model for orientation, position it on the print tray, choose which support materials were needed, etc. However, there is a better way. There’s a second choice for exporting files which gives you more control over the printing process. 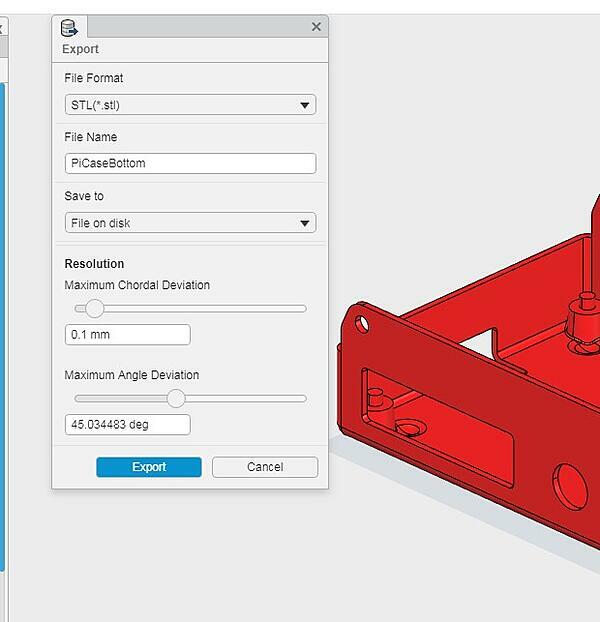 xDesign has the option to set up the 3D print within the design system. I changed the orientation, offset the build envelope and positioned the part all with the “3D Print” command. It allowed me to perform a lot of the setup work typically done in the printer software. This can be very helpful if you won’t be the one printing your design and have special considerations that need to be met. When I was reviewing my output options, I was able to choose the printer and could choose from presets or enter the build envelope manually. I selected which plane I wanted to be the bottom of the print and moved the part around in the envelope. I was even able to get visual feedback of where support material will be needed. This method allowed me to get an .STL file with a lot of the 3D printing pre-processing done. Once my files were complete, including the additional print information, I sent them to the Engineer at our Pittsburgh office. Within a few hours he had finished 3D printed parts on trays waiting for inspection and post-processing. I knew my design prototype needed to be functional and somewhat durable, in case I whacked it by accident, so I decided to make it out of ABS. We used a Stratasys Mojo desktop 3D printer this time since it was the first available FDM printer in the office that day, but these parts could also be printed in the new Stratasys F170. It has some similarities with the Mojo and a wider variety of materials and layer thickness options. 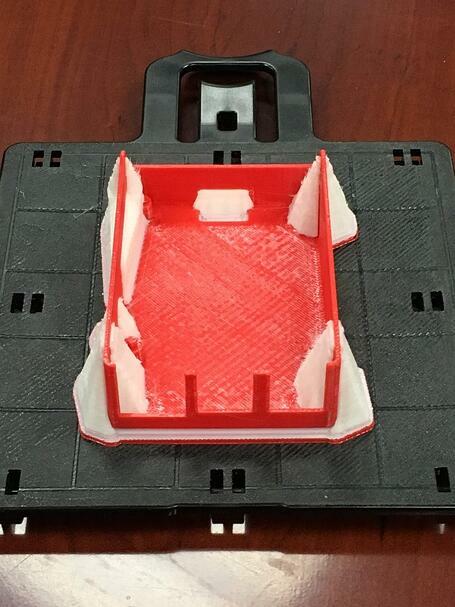 >>Read our blog to learn more about FDM printing and other 3D printing technologies. Post-processing only required removing the support material used when printing with ABS material. There was no need to sand or paint, so soon after I had the final parts on my desk. You can see how quickly and easily my project went from a board to a design to a final product. This was a great project to start with and familiarize myself with using xDesign. For an in-depth walk-through of the SOLIDWORKS xDesign application, see our mini-webinar introductory series.